Photographing hummingbirds can be challenging, especially capturing them in their environment. I’ve developed a few tricks over the years, such as placing sugar water near wildflower that I want to use in the image. 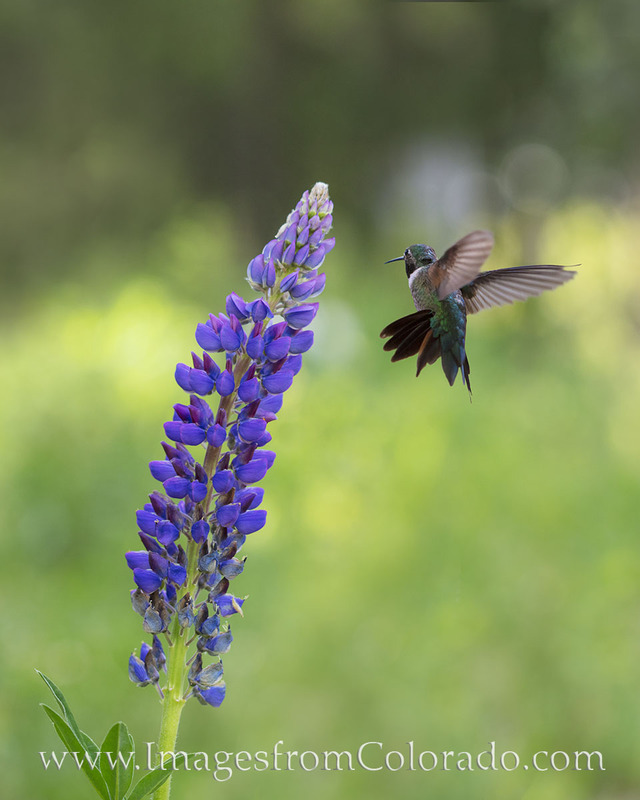 Here, this hummingbird hovers around a purple lupine, one of Colorado’s most well known wildflowers. Photo © copyright by Rob Greebon.